Pay attention to silence. What is happening when nothing is happening in a group? This is the group field . . . People’s speech and actions are figural events. They give the group form and content. The silence and empty spaces, on the other hand, reveal the group’s essential mood, the context for everything that happens. That is the group field. Recently I was at a small group gathering on Whidbey Island exploring some important lenses for leaders in organizations and congregations. In this gathering, “context” was the beginning focus. The deeper we moved into context, the more circuitous the route and the more insights or gold nuggets we picked up along the path. One agreement among all of us was the importance for leaders to consider context whether they are pastors, lay-leaders, district superintendents or bishops, CEOs, executive team members or middle management in a corporate setting. 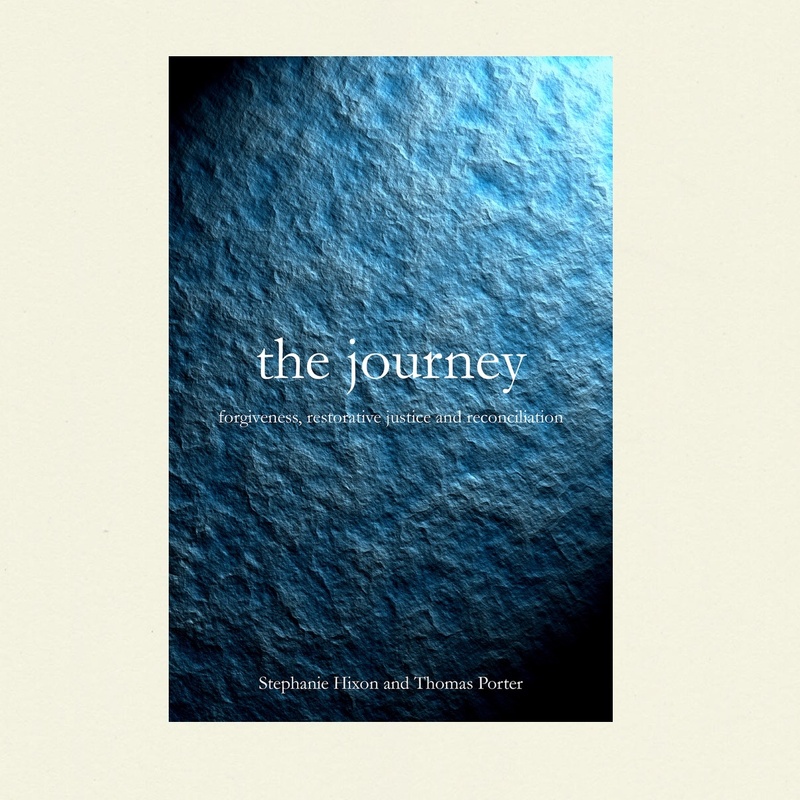 This article is a half-fast summary of our exploration on this journey, the nuggets I picked up along the way and how these inform my work with leadership, congregations and organizations. These insights are put into my context—honoring the concept and the phenomenon to which the context points or describes (Or at least some of the ones I picked up and thought helpful for leaders). Nugget 1. According to the business dictionary, context is defined as “background, environment, framework, setting, or situation surrounding an event or occurrence.” As I use “context” in congregations and organizations, I would include: physical space, openness space, silent space, empty space, safe space, container, the invitational tone and mood of the space, relationships (who is related to whom and what has happened between or among them both positive and challenging) and a relational way 1 trust, vulnerability, generative work, history, the collective narrative, the individual narratives, creative risk, developmental stage of the congregation or organization and other components. The best leaders are aware of context, its complexity and multiple levels of meaning and influence. One size does not fit all. When taking context seriously, there are no cookie cutter approaches or linear check-lists to follow. Those prescriptive maps are overly simplistic and not extremely helpful when walking with congregations or organizations through challenging times and important conversations. Context means all are uniquely different while very similar. Consequently, leaders are listening and paying attention to the subtleties and nuances of the narratives as well as the silence and empty spaces. When “walking with” or “along side” a congregation or organization (leadership), the best leaders put aside judgment or the temptation to think the community needs to be fixed, and instead walk alongside with an attitude and spirit of curiosity and compassion. Honest, open questions of gentle inquiry become their approach inviting reflection, learning and growth. Leaders who do this well are asking, not just about the challenges or pathology, but more about their strengths, celebrations, passions, what holds meaning for the group, what is important to them, what they look like when they are at their best, etc. Nugget 2. As we talked about context and the work of effective leaders, we came to agree that EVERYTHING–from the sanctuary, to the committee room, to the boardroom, to the bedroom—depends on the invitational quality, tonality and strength of the “container” as we form and operate from moment-to-moment in given contexts. I mention containers here because, in one of our session, Mitch Saunders commented that one of his deepest lessons while teaching at MIT was, “No container, no dialogue.” I reframe it as “No container, no conversation.” I and we at JustPeace are very aware of the importance of building strong containers if we are going to have meaningful conversations, healthy communities and effective, collaborative leadership. Nugget 3. For years, I found, and sometimes still find, myself at the mercy of the contexts and “group fields” I wandered into. Each group has its own context and with the context comes a field of energy or emotional field that can impact us deeply simply by entering it. At times, I have been “shut down” or “captured” by these invisible, energetic forces that seemed to overwhelm me. These fields are what I believe the New Testament scholar, Walter Wink, imagined, as he talks about the spirit of a congregation. what is the invitation available in a given context for me and the groups with whom I work? When I am clear on these, it seems to have an impact on the groups and me as I enter. Clarity on these is important for leaders. Nugget 4. The next insight for me in shaping the context is the cultivation and fortification via an intimacy with and acceptance of life and my own body 4, my mutually nurturing connections with kindred spirits, and selectively and intentionally knowing where and how to insert myself when invited into a given context. The theologian and philosopher Martin Buber stated, “In the beginning was relationship.” Systems, contexts, energy fields, “the spirit of a church,” healthy or unhealthy, simple or complex, are about relationships. In part, relationship is paradoxically the indicator of the spirit or energy field of the context, but it is also the spirit itself or energy field itself. Effective leaders tend to pay attention and nurture those relationships and the between spaces. The conversations are the relationships, and they are nurtured most deeply when time is spent face-to-face, eye-to-eye both speaking and actively listening, which cultivates deeper relationships! Nugget 5. No matter how stuck a group or adversarial the conversation or congregational/organizational spirit, I am discovering that just about every conversation has windows that appear as moments innately open to the “lightest touch,” “just waiting to awaken the Lazarus within,” as David Whyte poetically describes it. Part of the role of the leader or facilitator is to help individuals or groups to hear or notice those openings and invite the people to step through those windows, those openings, those opportunities to deepen, broaden and strengthen the relationships, thus, the effectiveness of the congregation or organization. By windows or openings, I mean more than common ground or common interests, for that is content. These openings happen at the level of the soul or emotional process. The theologian, Martin Buber, contrast this “genuine meeting” with mismeetings. Mismeetings are where two people connect intellectually, but not emotionally. They talk at each other but not with each other. When these deep level openings occur and we recognize, acknowledge and respond to them, something happens in and to the relationship(s) that impacts the very nature of the conversations and the relational way itself. At this moment, everything changes; all parts of it are influenced; everything becomes possible. in-between space of the relationship—“genuine meeting” as Martin Buber refers to it. The art of conversation and the art of leadership are about our attentiveness to those “between” spaces and the openings that present themselves in the conversation as well as in our silences to help us move deeper and forward. I have not found many books on this topic, but context is a significant consideration for leaders facilitating courageous conversations about things that matter to people and to the community. Thus, my invitation is for us to give attention to context and our ability to shape or influence it, thus, be effective leaders. 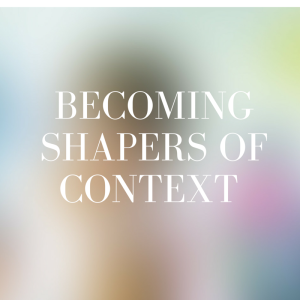 As a leader, one of my growing edges to which I invite you is: How do I/we become a shaper of context, not one who simply lives at the mercy of it? If I cannot shape the context in the given moment, at least, how do I/we dance in the context whereas I/we do no harm, and by the grace of God, might even do some good? Agree or disagree, you are invited into the conversation! Dr. W. Craig Gilliam is on the staff of JustPeace Center for Mediation and Conflict Transformation housed in Washington, D.C.; director of the Center for Pastoral Excellence in the United Methodist Church, LA Conference. He is an adjunct instructor at Perkins School of Theology, Southern Methodist University, and consults with churches and other organizations across the country; and has a private practice, consulting with churches and other organizations across the country. His primary areas of interest are group dynamics and systems that foster healthy, creative, mature, nurturing communities. Copyright © 2014 JustPeace. Historically, JustPeace has been included as an affiliated tax exempt organization under the United Methodist Church “group ruling” administered by the General Council on Finance and Administration. JustPeace currently has application pending for recognition of exemption under 501c(3) of the Internal Revenue Code.